Jamaican Travel Tips, Advisor Information | Jamaican Airport Shuttles, Transfers &Tours. Jamaica is not a crime ridden island that it is so often painted in the media to first time Visitors. 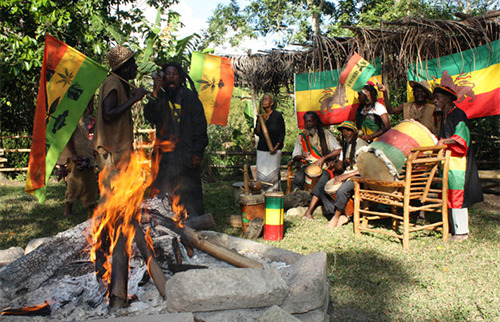 Visitors are often warned not to venture off the confines of their resort, but to do so you would be to missing out on the opportunity of a lifetime, to really experience the wonderful and diverse culture that makes Jamaica one of the most sought after destinations in the world you will need to venture out. Rules are the same as any traveler would follow when visiting an unfamiliar place. (1) Do not wonder around alone at night especially in dark and secluded areas. (2) Do not carry unnecessary amounts of cash on you when leaving the resort. (3) Do not go off with strangers without getting a second opinion from your resort known staff or someone you know can be trusted. (4) Do not flaunt expensive jewelry when traveling. (5) Do not get intoxicated in the midst of strangers or at strange, isolated and unknown locations. All currencies are accepted in Jamaica at financial institutions but on the streets only US, Pound, Canadian, Euro and Jamaica dollars are widely accepted. Places to change currencies are Banks or authorized Cambio,s. (1) Use currencies you are familiar with. (2) Always keep up to date with exchange rates through banks or cambio's. (3) Always seek the best rate as rates varies by a dollar or cents. (4) Always try to have enough small bills to make change. There are many ways of getting around, there are route or public, private or rented transportation. Please remember that in Jamaica we drive on the left hand side of the roads. (1) Route Taxi: Make sure you look for taxis with red license plate and say Route Taxi on the doors and its route shown in description. Always agree upon the fee before getting into the taxi. Unlike taxis over the world Jamaican cabs take three (3) persons in the back and one (1) in front in passenger seat. (2) Public transportation: Make sure you look for taxis or buses with red license plate and say Route and description on the doors. Always agree upon the fee before getting into the vehicles. Bus and taxi fares are fixed by government and non negotiable. Buses can be overcrowded and cramped so make up your mind to go or consider alternatives before taking long journeys. (3) Rented vehicle: You can rent vehicles of your specification at rates set by Car Rental companies. Always remember to allow/add on 2 hours for your airline, as all airlines require passengers to be at the airport 2 hours prior to your flight. To be sure always add this to your departure time for example, schedule 3 hours and 30 minutes from Negril to Montego Bay Airport upon departure. (In the event of high traffic hours, 7:00am-9:00am & 3:00pm - 7:00pm or road repairs schedule 4 hours to be safe). Jamaica is 146 miles (235 km) long, and it varies between 21 and 52 miles (34 and 84 km) wide. With an area of 10,911 square kilometres.